Jessica Celeste Michibata was born in 1984 and is best known in her native Japan as a fashion model. In Britain however she is best known for being a ‘model girlfriend’ to Jenson Button. Fluent in Japanese and English Jessica was recently signed as the face of Tag Heuer watches. Bright and beautiful, Jessica is as happy relaxing in the glamorous surroundings of Monaco, as she is wearing a wetsuit and competing with her other half, in the Blenheim Trialthlon! Here she shares her tips on keeping clean and looking fresh – Jessica we salute you! Do you think more guys are making an effort with their appearance, if so why do you think that is? Yes I do think that they are making an effort with the way they look. I’m not sure why, I guess they do it for themselves rather than to impress us but I do think the media has had an influence too. 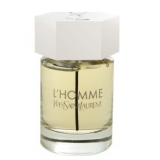 What is your favourite male fragrance? I like YSL, Marc Jacobs and Hugo Boss. What is the most common mistake men make with their grooming? I really can’t stand it when guys shave their chest-it’s just wrong! In what way could guys improve the way they look? Simple really, keep yourself clean and sweet smelling. 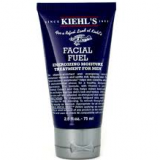 What’s one product you use that a guy could benefit from? One thing that men don’t tend to use is body scrub and it would definitely improve their skin. Does the guy in your life borrow any products from you? Should he? He shouldn’t really, ideally he should have products that are tailored to his own skin type. Most guys would benefit from using a moisturiser. Perhaps one from a male skin-care line though, as it would be be more effective. Because as we know a guys skin is much thicker than a girls. So what does well groomed mean to you? A very presentable man; someone who has a good wash and trims his beard. What guys in the public eye do you think look well groomed? 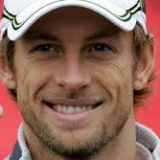 I have to say my boyfriend Jenson Button as he always looks well groomed! Lastly who always looked really great and should continue to inspire guys today? 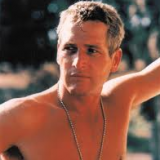 I think that Paul Newman was classically handsome and his look transcends both time and fashion.